Recap courtesy James Sutherland. 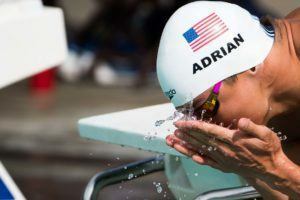 Videos courtesy SWIM91523 and Ande Rasmussen. The top three women were all under 55 in the 100 free A final, with North Baltimore’s Allison Schmitt taking the win in 54.30. Schmitt was second at the 50 behind Margo Geer, but had a quick final 50m of 27.69 to take the win. Missy Franklin of the Colorado Stars touched just behind Schmitt in 2nd at 54.56, and Geer fell to 3rd. Rebecca Millard was the 4th place finisher, over a second off 3rd place in 56.04. Michael Phelps edged out Jack Conger by one one-hundredth of a second to win the 100 free in 49.49 to Conger’s 49.50, while top seeded David Nolan equalled his prelim time to finish 3rd in 49.80. 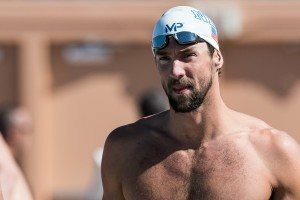 Phelps was 2nd at the 50 wall to only Matt Grevers in 23.98, and had the second fastest back half in 25.51. 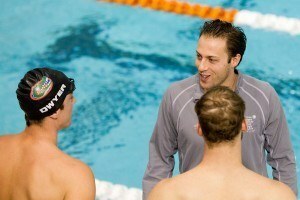 Only Conger (25.23) was faster coming back. 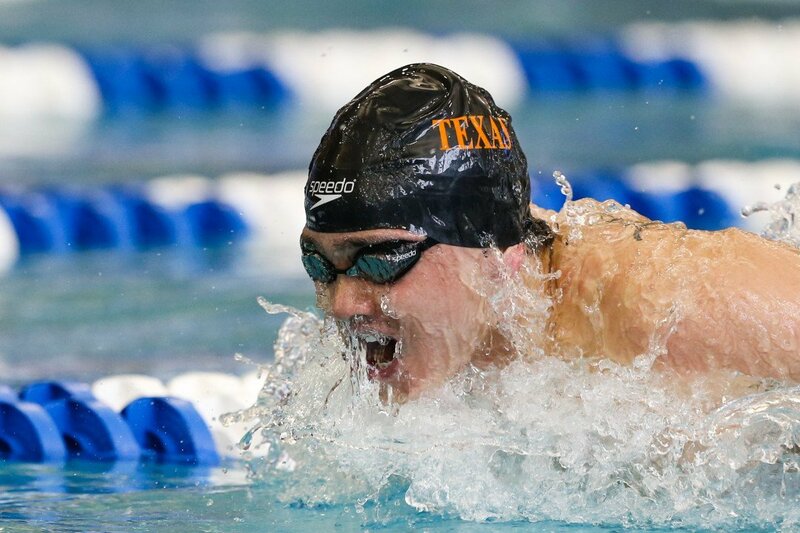 Clay Youngquist of Longhorn Aquatics was 4th in 50.09, and Grevers fell to 5th in 50.45. Madisyn Cox of LSC clipped ABF’s Laura Sogar in the women’s 200 breaststroke by just under half a second to take the win, touching in 2:28.31. Sogar was 2:28.80 for 2nd, and Annie Zhu of the Athens Bulldogs was 3rd in 2:29.65. All three were very close at the 100m mark, but Cox made her move on the 3rd 50 and finished the job coming back. Olivia Anderson went out fast and led through 100m in 1:10.93, but eventually fell to 4th in 2:32.03 with a back half of 1:21.10. It was a North Baltimore sweep in the women’s 400 free, as the top-4 finishers were all representing NBAC. Lotte Friis, hailing from Denmark, won in 4:06.82, splitting fairly evenly out in 2:02.62 at the 200. Cierra Runge was 2nd in 4:08.04, and Allison Schmittwas 3rd in 4:08.36 not too long after winning the 100 freestyle at the beginning of the session. Finishing 4th was North Baltimore’s Sierra Schmidt in 4:11.15, with Joanna Evans (4:12.39) and Quinn Carrozza (4:17.04), both of whom swim for the University of Texas during the collegiate season, finishing 5th and 6th respectively. Clark Smith had a very convincing win in the men’s 400 free, winning by over three seconds in 3:48.08. That swim makes Smith the 2nd fastest American in 2016 behind only Conor Dwyer, and is less than a second off his own best time of 3:47.10. Smith was out fast to the 200 in 1:51.82 and didn’t give runner-up Michael McBroom an inch coming home. McBroom was 2nd in a very solid 3:51.17, just ahead of Yale’s Kei Hyogo (3:51.60) and NOVA’s Townley Haas (3:51.94). Smith and Haas’ Texas Longhorn teammate Jonathan Roberts was 5th in 3:53.94. The women’s 100 fly had a surprisingly very small field, with only eight women competing in the event in the morning. Victoria Edwards of Longhorn Aquatics booked the win tonight in 1:00.32, edging out Dakota Luther of the Austin Swim Club who was 2nd in 1:00.98. 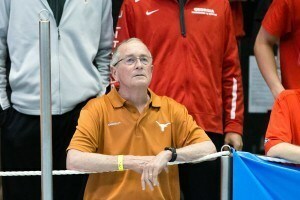 Remedy Rule, a Texas Longhorn during the NCAA season, finished 3rd in 1:01.32. Probably partly the camera angle, but it looked like Phelps was closing hard on Conger/Schooling the last 25 meters, and just ran out of pool. I think he was. Phelps had a bad turn at the 50 and was at least half a body length behind.